Disclosure: Some of the links below are affiliate links, meaning at no additional cost to you, I will earn a commission if you click through and make a purchase. Thank you for supporting this blog and our work. With the holidays just around the corner, our families have been asking us for gift ideas. We thought that if they wanted to know what to buy the traveler in their life for Christmas, that you just might be curious too. You see, this year we are traveling the world with our five year old daughter and we like to pack light. That brings up a few challenges. What can you buy that is small and packable? How are you going to get it where it needs to go? Chances are your special someone likes to pack light like we do and they may not be just around the corner this year either. With those two challenges in mind we have included gift options most travelers will love with price ranges that will not be too bad on your wallet and some that are digital so you will not have to worry about shipping. We also have gift guides geared more toward female travelers, tech-loving travelers, and kids. Be sure to check those out if you need more specific gift options. So what are you to buy that special traveler in your life when they do not have a lot of space and you want to make sure they love the gift you give them? Remember that comment about space? How many times have you been on vacation and wanted to buy a souvenir that would not fit in your luggage? Or are you like me and cross your fingers every time you check your big suitcase hoping it is not over the weight limit? This is the perfect opportunity to use this foldable duffle bag. Just pop it in your suitcase for those emergency moments and never worry about having to buy a new bag when on vacation. A good power bank may be worth its weight in gold, but thankfully this one has a much better price tag. Our power bank has saved us many times - when out on a long day shooting lots of video content, when our daughter only wants to watch her tablet on long travel days, or when there are not enough outlets to charge everything at once. Actually, we’re planning to put this upgrade on our Christmas list this year. A good travel pillow can be a lifesaver when you are stuck in an economy overnight flight (someday I’ll get to fly business class!). But, different travelers have different needs. My husband has a long neck so this travel pillow by Trtl is better for him. I do not need something so tall so this inflatable travel pillow from Jerrybox. The other travel pillow I have been meaning to try is this one made with memory foam by Cabeau. If your traveler is looking for a new suitcase, we recommend this one. 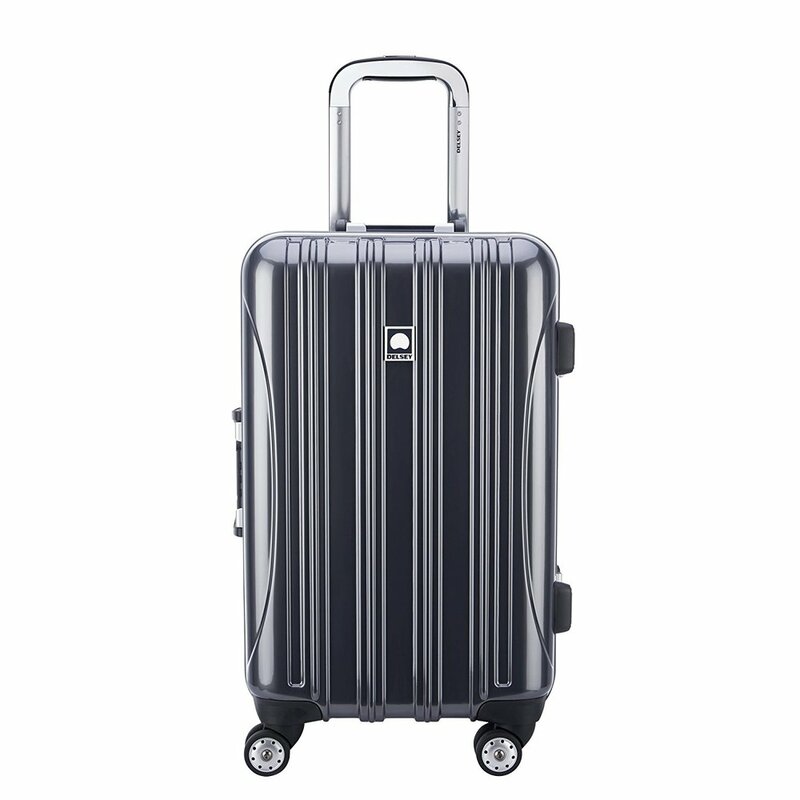 While those of you with deeper pockets can splurge for the Away Luggage (the seemingly “it” item this year), we have found that we do not need the newest brand name item as long as it is durable with spinner wheels for easy maneuvering. This one by Delsey will not break the bank and comes highly recommended. These packing cubes are amazing for those travelers that are constantly on the go. I love being able to unpack in 30 seconds with my packing cubes when we are traveling quickly between cities (as I hate to live out of a suitcase). They do a great job of keeping me and all of our stuff organized. Plus, they have the added bonus of condensing your items so you can fit even more in your carry-on bag. For those of you that do not want to mail a gif this year, our top digital pick is a Kindle Unlimited Subscription. I love reading, but packing books is not possible when traveling. With Kindle Unlimited I am always able to get a new book as soon as I am finished with my current one and I can check out multiple books at once. They even have children’s books available so it’s a gift the whole family can enjoy. Consider gifting 6 - 12 months so they can enjoy the gift of reading all year long. Love this list? We’d love if you would share it with others and please pit it. Thank you!